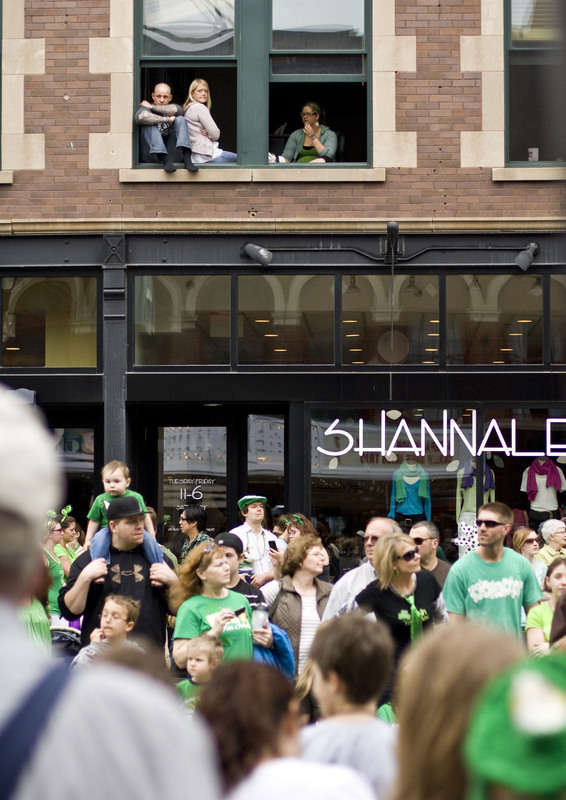 People came together in downtown Fargo on Saturday, March 17, 2012 for the St. Patricks Day Parade, which went down Broadway. 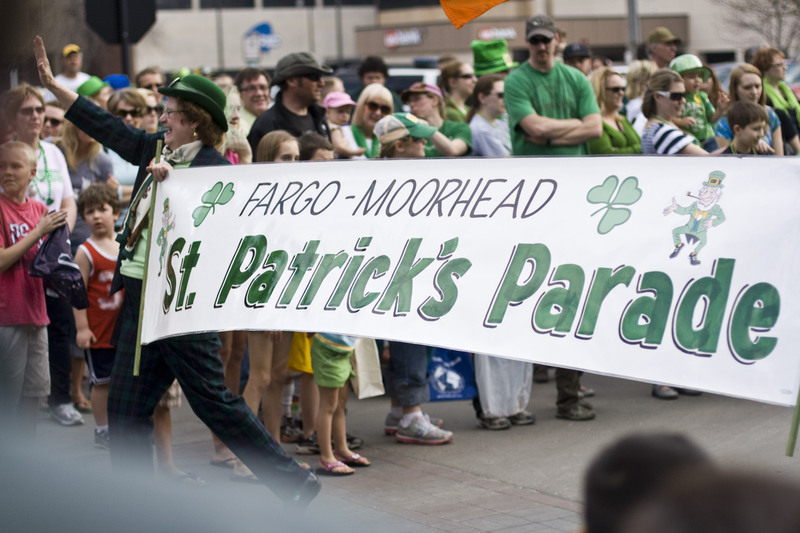 Donning green and gold, residents of Fargo-Moorhead will flood the streets of downtown Fargo to celebrate Celtic tradition. With a road race, an afternoon parade and a pub crawl, there’s something for people of all ages to enjoy. The festivities will kick off with the 10th Annual Celtic Festival running from 10 a.m. to 4 p.m. on March 7 at the Hjemkomst Center in Moorhead. Attendees will have the opportunity to learn more about Celtic tradition and culture through lyrical music, heritage presentations and dance performances. There will also be information booths and demonstrations. Spectators watched the parade from their apartment above Broadway. After enjoying the music and presentations, attendees are invited to try some traditional Celtic foods including Irish stew, soda bread, corned beef and cabbage, roasted root vegetables and colcannon potatoes. On March 16, the festivities will continue with the Lake Agassiz Pacers 5K road race through downtown Fargo. The race will start at 3 p.m. on Broadway and First Avenue North. There will be an 800-meter fun run for children 12 years old and younger. People clapped to a Celtic song that played as their float drove on Broadway. The St. Patrick’s Day Parade will immediately follow the races on Broadway, proceeding north to Sixth Avenue. 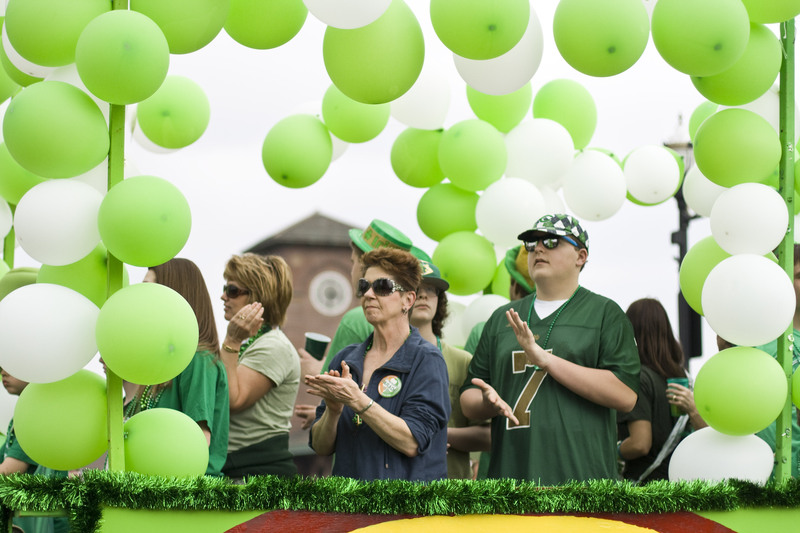 Dressed in green, thousands of people came out to enjoy the parade last year. Some even watched from their balconies and apartment windows above Broadway. For those who are 21 years old or older, a pub crawl will also be taking place throughout the day. Pub crawlers can receive an official passport and mug for $5 at any of the participating locations, which include The Bomb Shelter, The Old Broadway, Pickled Parrot, Rhombus Guys, Rooter’s Bar, Sidestreet Grille and Pub, Sports Bar, Monte’s, Mahoney’s and Spicy Pie. Refills at all locations cost $3.